We'll ask you a few questions to make sure we get it right. Click start to begin. 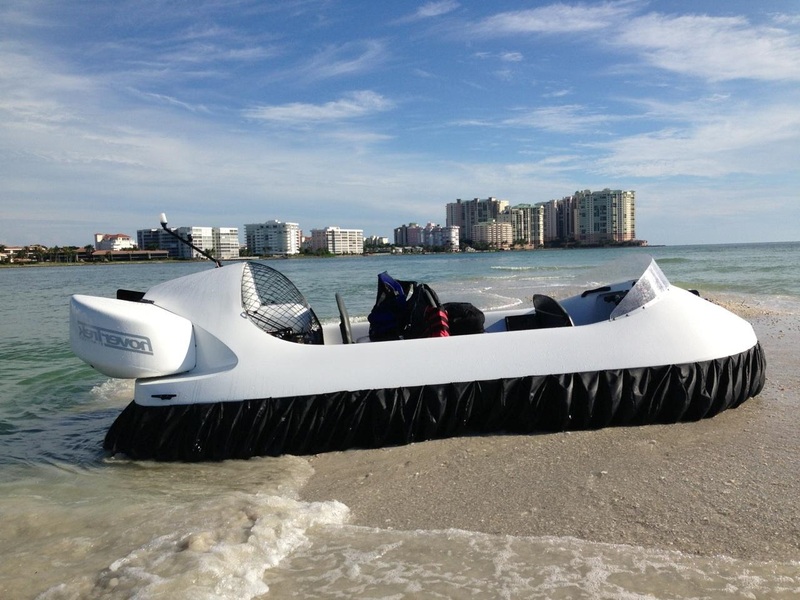 Do you have experience with Aircraft, Helicopters, Balloons, Boats, Jet skies, Atvs, 4-wheeler's, Motorcycles? How do you plan to use your craft? 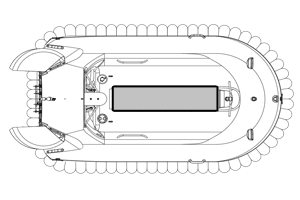 Seating affects the options such as : Radar tower, Stretcher mount, Fish finder sonar, Cabin, Special lights. To change or modify certain options consult us for suggestions. 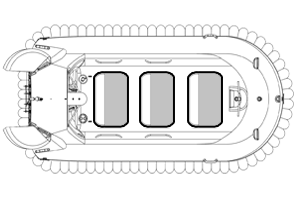 Click the next arrow to see the seating options. 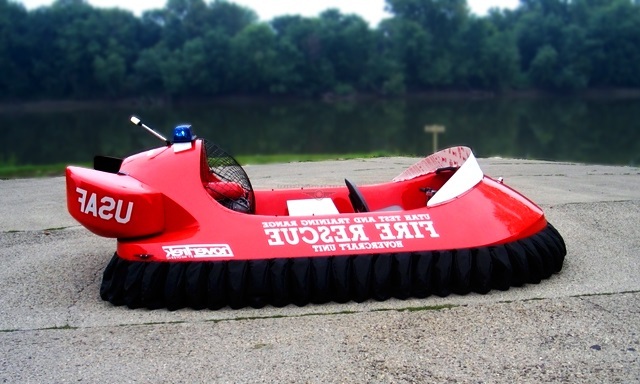 Select 1 to 4 passenger standard rescue seating option. * This field is required 600 lb (272 kg) average | 750 lb (340 kg) max | 1,200lb (546 kg) overload . Additional seating options are available upon request. 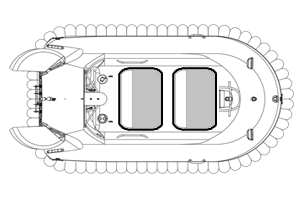 Select 1 to 6 passenger standard rescue seating option. * This field is required 900 lb (408 kg) average | 1,025 lb (466 kg) max. Additional seating options are available upon request. 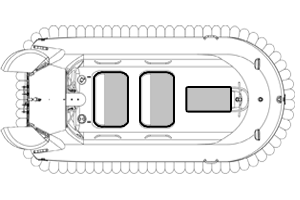 Several engine options are offered. Click the next arrow to see the options. 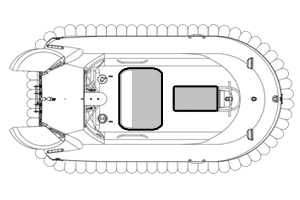 6 passenger craft come with our most powerful engine - a Hirth 3701 - 100hp 2-cycle aircraft engine. Click the next arrow to see detailed information about this engine. Which engine would best suit your needs? * This field is required Make a selection to see more engine info. 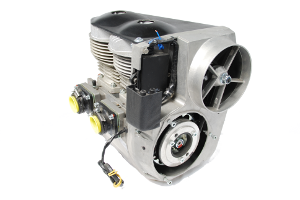 Hirth 2703 55hp 2-cycle carburated aircraft engine. 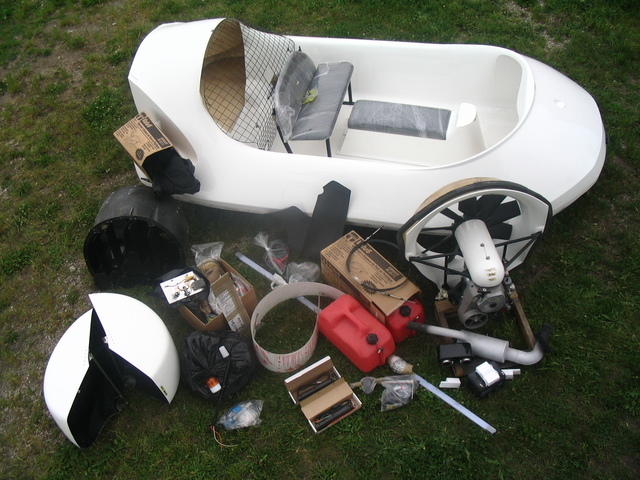 Hirth model 2703 Hirth 521 cc, 55 hp (41 kw) @ 6200 rpm 2-cycle 2-cylinder, air cooled, electric and manual start, aluminum engine, weight 82 lbs (37.3 kg). Spark plug, gap 0.022 in (0.55 mm). Maximum cylinder head temperature at spark plug 535° F (277°C), EGT 1300° F (704° C) . Transmission 31-tooth and 72-tooth hard anodized aluminum HTD sprockets on engine and fan shaft, joined by Carbon Fiber HTD Belt. Fan shaft bearings – 1 in (25.4 mm) bore pillow block Sealmaster and 1 Asahi. 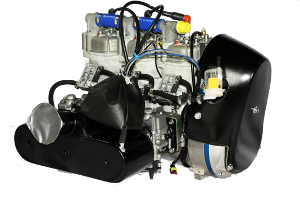 Hirth model 3203 625 cc, 65 hp (49 kw) @ 6300 rpm 2 cycle, two cylinder in line, fan cooled, Single CDI (Capacitive discharge Ignition), Carburetion: Dual 38mm slide type or optional fuel injection, electric and manual start, aluminum engine, weight 82 lbs (37.3 kg). Spark plug, gap .020-.024 in. Maximum cylinder head temperature at spark plug 535° F (277°C), EGT 1230° F (665° C) . Transmission 31-tooth and 72-tooth hard anodized aluminum HTD sprockets on engine and fan shaft, joined by Carbon Fiber HTD belt. Fan shaft bearings – 1 in (25.4 mm) bore pillow block Sealmaster and 1 Asahi. 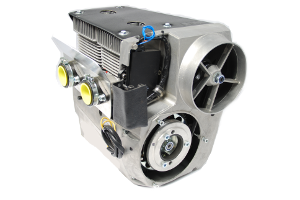 Hirth model 3701 939 cc, 100 hp (74 kw) @ 6500 rpm Carburated, 2-cycle 3-cylinder, liquid cooled, electric start, aluminum, weight 108 lbs (49 kg). Maximum Exhaust Gas Temperature 1300° F (704° C), Max Water Temperature 200° F (93.34° C). Transmission 32-tooth and 64-tooth PolyChain sprockets on engine and fan shaft, joined by HTD carbon belt. Fan shaft bearings - 1-1/4 in (31.38 mm) bearing Asahi and Sealmaster. Do you need oil injection? * This field is required Oil Injection is useful if you don't like to mix Gasoline and Oil. Information available upon request. Would you like the deluxe upgrade? * This field is required The deluxe option includes the Neoteric reverse thrust system, a full instrumentation package and 12 extra options. By choosing "NO" you can select these options individually. Include a full instrumentation package? 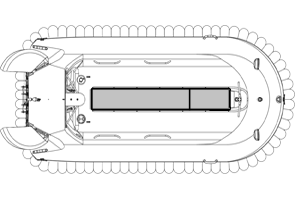 * This field is required Full Instrumentation Includes Tachometer, Hour Meter, Cylinder Head Temp, Exhaust Gas Temp, Fuel Gauge, two types of Search Light Plugs and Wiring Harness. Include the Neoteric reverse thrust system? 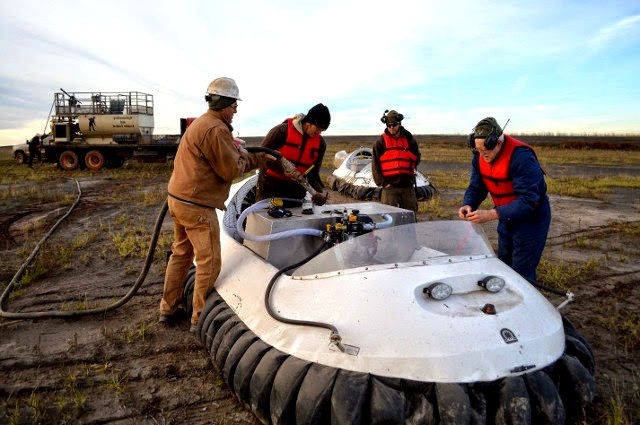 * This field is required The Neoteric reverse thrust system not only makes the HoverTrek™ the only hovercraft in the world with effective brakes, it also allows it to outmaneuver every other hovercraft on the market. Almost done!! How would you like your craft delivered? * This field is required Information available upon request. NOTE: These prices are for US Territories. 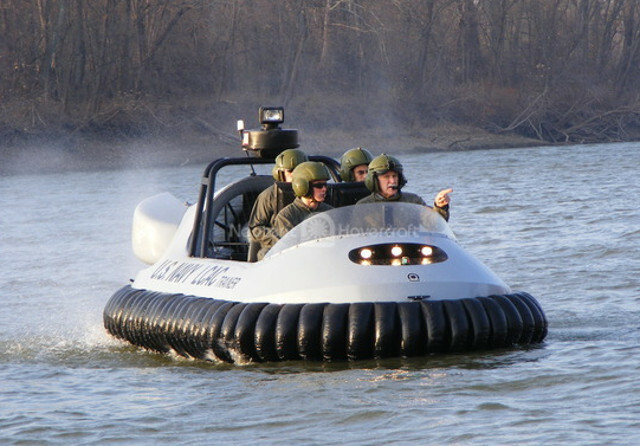 Indiana sales tax is applicable if Hovercraft is collected by end user in Indiana. Government agencies are usually sales tax exempt. 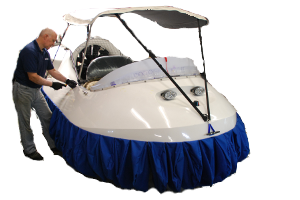 Contact us if you are considering purchasing a Hovercraft, you need technical support or wish to discuss this project. Please fill in your contact details if you would like to be contacted by a Neoteric sales representative. We want to make sure your questions are answered, and that you feel comfortable with your estimate. Once you submit your quote, a Neoteric representative will contact you within 1-2 business days. Click the next arrow to submit and save your quote. To submit, please verify that you are human* This field is required A Neoteric representative will contact you within 1-2 business days.